Nathan Fillion as Captain Malcolm Reynolds ponders his next move on an alien craft. 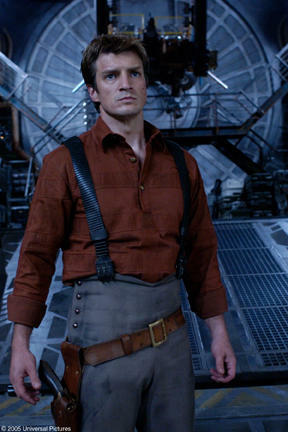 Nathan Fillion stars as Malcolm Reynolds, captain of the transport-for-hire ship "Serenity", which finds itself caught between warring forces out to dominate the galaxy. Summer Glau and Nathan Fillion at the photocall of "Serenity" during the 31st Deauville Festival. 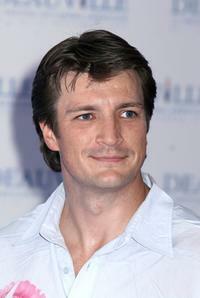 Nathan Fillion at the photocall of "Serenity" during the 31st Deauville Festival. 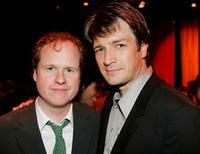 Joss Whedon and Nathan Fillion at the after party of the premiere of "Serenity." 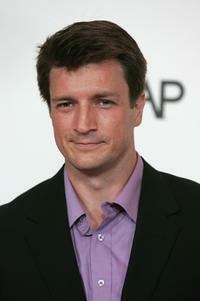 Nathan Fillion and Nectar Rose at the premiere of "Serenity." Nathan Fillion and Perrey Reeves at the premiere of "Serenity." 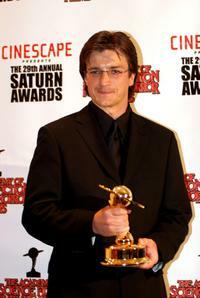 Nathan Fillion at the 29th Annual Saturn Awards. 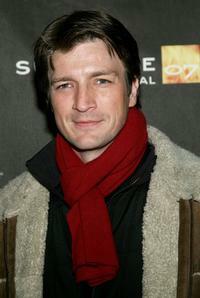 Nathan Fillion at the premiere of "Femme Fatale." 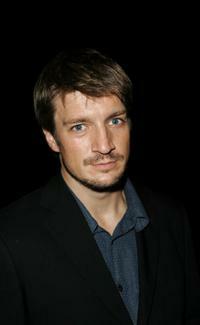 Nathan Fillion at the premiere of "The Yes Men" during the opening night of Silver Lake Film Festival. Nathan Fillion and Guest at the world premiere of "In Good Company." Nathan Fillion at the screening of "Sweet Smell of Success." 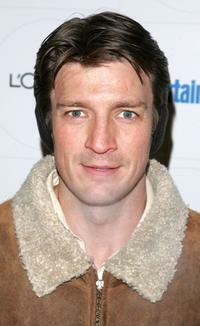 Nathan Fillion at the screening of "Waitress" during the 2007 Sundance Film Festival. 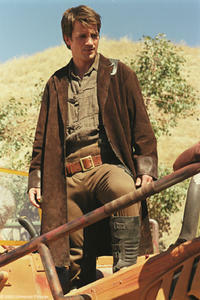 Nathan Fillion at the Entertainment Weekly's celebration of 2007 Sundance Film Festival and the launch of Sixdegrees.org. Nathan Fillion and Elizabeth Banks at the premiere of "Slither." 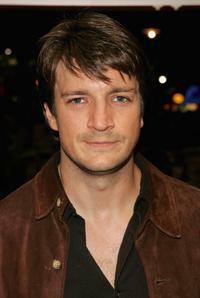 Nathan Fillion at the UK premiere of "Serenity." Summer Glau and Nathan Fillion at the UK premiere of "Serenity." 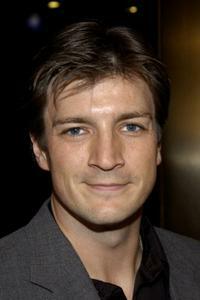 Nathan Fillion at the 2007 ABC All Star party. 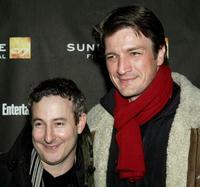 Eddie Jemison and Nathan Fillion at the screening of "Waitress" during the 2007 Sundance Film Festival.